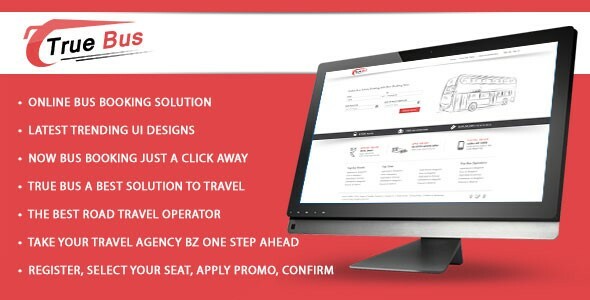 True Bus - Online Bus Booking - CODELISTPRO | Free Premium Scripts, Plugins, Apps Source Code. True bus is an online bus ticket booking platform, built on PHP, mysql with Codeigniter framework this script is one of the best available across the country. Simple yet mesmerizing UI are sure to turn some heads, promocode option is available to provide you the best possible rate available. For those whose internet people who hate to leave the confines of their comfort to book tickets and for those last minute travelers who struggle to get a ticket, true bus is the best option.